Zero Code Applications. Changing the Face of IT Departments. In today’s business world, information technology (IT) continues to be the engine that drives competitive advantage and long-term success. However, IT departments face mounting budget scrutiny at a time when their innovations are most needed. How can IT departments manage this “catch 22”? Some say, by doing less. Today, we witness the emergence of development platforms that let end users build applications without writing any code. This allows IT departments to deliver a “self-service” tool to end users, while maintaining control over the important stuff, like architecture, integration, and security choices. With a very polite “build it yourself,” IT departments free up resources in ways never before possible through traditional approaches. It’s sustainable development for the future because it creates an entirely new pool of resources. It’s the perfect IT analogy to the proverbial teaching a person how to fish. In a time when new innovations can potentially streamline—while potentially minimizing—the importance and value of IT departments, there are new ways for coding some applications that can unleash IT as the strategic business driver in an organization. The most adept IT professionals know that innovation is the backbone for organizational success, and taking the right strategic approaches can tremendously impact future growth. These new zero-code application development trends ultimately allow IT departments to move beyond an otherwise impossible bottleneck where business demand far outstrips IT capacity. The adoption of radically new development approaches also provides the opportunity for the C-suite to recognize IT´s highest value. By introducing cutting-edge technology that drives business success, IT breaks free from the perception of more “technology for technology’s sake.” However, to earn this perception from leadership, IT teams need to break free from their own conventional blinders. With the right zero-code platform, the IT department becomes the hero by enabling others to help themselves—as opposed to the impossible task of being all things to all people and under budget. 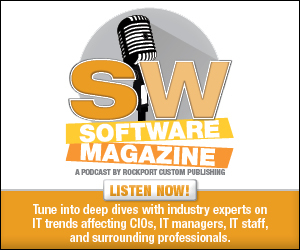 For many years, IT departments were challenged to develop enterprise applications (apps) that kept up with demands of end users finding new and imaginative ways to leverage smartphones and tablets for enterprise success. Of course, coding for mobile is now the norm, but it still requires a tremendous amount of internal resources and man hours. This will only increase. In fact, Gartner predicts that market demand for mobile app development will grow at least five times faster than IT’s capacity to deliver them. This new zero-code approach is based on an open-architecture platform as a service (PaaS) environment, which helps to minimize costs while also easily integrating with legacy applications. Zero-code is the next phase in the evolution of low code capabilities that started with Business Performance Management (BPM), Rapid Application Development (RAD), and other strategies for delivering apps faster and less expensively. While remarkably successful, the challenge with these solutions is they still require highly specialized knowledge and training. This does not enable armies of end user developers. Another issue with low code and other enterprise apps in general—the lifetime cost of ownership can be high. This involves operations, maintenance, and infrastructure, which can all be difficult to forecast. In addition, updating these apps to meet the needs of new innovations can also be time consuming and costly. The reality is that low-code platforms do not fully enable a business user to create their own apps seamlessly and easily. With new zero-code app building tools, an app can be built by simply selecting the features required for a specific project, adding custom branding to provide a different look and feel, as well as also adding marketing elements. Of course, the features available in zero-code platforms are by definition limited to what’s already been built. But it’s amazing how often you can avoid reinventing the wheel by buying a feature, instead of building it from scratch. As the feature library grows over time, so too does your app. When new inventory is published, your apps can be updated through a “click not code” portal. When it comes to low-code platforms, companies face a hidden challenge over time. For many organizations, it can be more difficult to find a skilled developer with their platform-specific, BPM-modeling skills than the underlying languages like Objective-C. Recruiting can be more time-consuming and costly than the legacy approaches being replaced. But with zero code, organizations can deliver apps without any proprietary platform training and specialization. The app development capacity grows with the increased pool of available resources, without kicking the personnel can down the road. In the end, the IT department emerges as the true enabling partner in the eyes of business stakeholders. The IT resource challenge becomes manageable and the newfound development capacity of business users spurs innovation and competitive advantage.